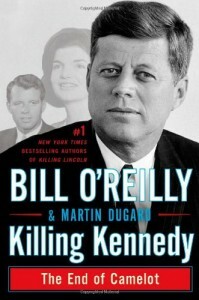 I am reading the trilogy by O’Reilly of Killing Lincoln, which I enjoyed very much, Killing Kennedy, which I finally enjoyed at the end, and, later this year, Killing Jesus, which I am in doubt about. Kennedy was a unique American President, of which there is no doubt. He was the first Catholic president coming from a well-to-do family whose other sons also enjoyed governmental benefits. The short and tense few years of Kennedy’s first term, with the Bay of Pigs fiasco and the Cuban Missile Crisis is fascinating to read, especially remembering them as a boy of ten or eleven. What becomes disgusting in the book are the details of Kennedy’s trysts with various women including Marilyn Monroe. In fact, I closed the book for a long time before deciding to open it again and finish it, during the 50th anniversary of Kennedy’s assassination. That part was good and equally portrayed in the TV version.